Town centre air conditioned offices with car parking. 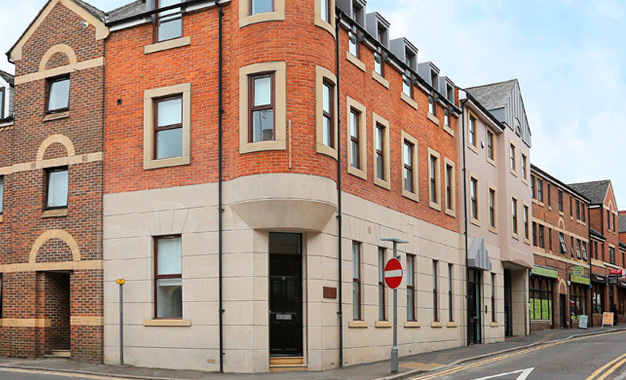 The offices are accessed directly off Haydon Place and have been comprehensively refurbished providing an approximate area of 3,612 sq ft arranged over three floors, the ground floor is the only floor available with 900 sq fts. The offices are located just off North Street benefitting from convenient access to Guildford town centre shops and amenities including the recently opened Waitrose. Additionally both Guildford mainline and London Road railway stations are within 10 minutes' walk providing regular services to Central London (Waterloo) in approximately 38 minutes. 14 & 16 Haydon Place, Guildford. GU1 4LL.